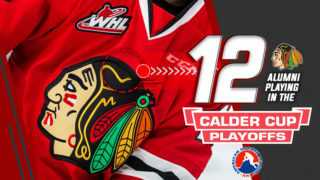 Winterhawks’ forward Seth Jarvis was one of 28 Western Hockey League players, as part of a group of 111 total players, invited to attend Canada’s national under-17 development camp, as the road to the 2018 World Under-17 Hockey Challenge begins. 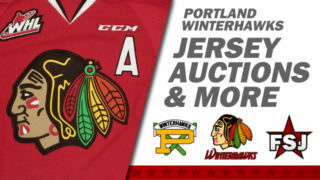 The 2002-born Jarvis, selected 11th overall by Portland in the 2017 WHL Bantam Draft, played in 11 games with Winterhawks this past season as a 15-year-old. Jarvis spent the majority of the year with the Rink Hockey Academy Prep in the CSSHL. He led his team in scoring with 32 goals and 60 points in 32 games. 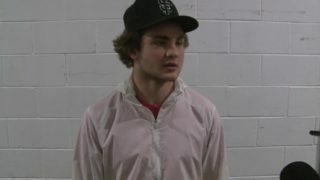 Winterhawks prospect, defenseman Ryan Helliwell, was also invited to the camp. 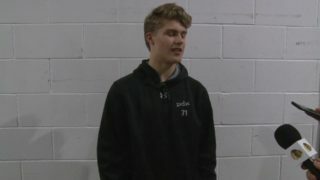 Helliwell, who Portland selected in the third-round of the 2017 WHL Bantam Draft, spent last season with the Burnaby Winter Club Prep in the CSSHL. The 6’0″ defenseman recorded 41 points in 31 games. The camp itself will take place from July 21-27 in at the Markin MacPhail Centre at WinSport’s Canada Olympic Park Calgary, Alta. The breakdown by WHL players includes four goaltenders, 10 defencemen, and 14 forwards. For many of the WHL players invited to the camp, it won’t be their first time attending the Markin MacPhail Centre at WinSport. Of the 28 WHL drafted players invited to July’s camp, 26 participated in the 2017 WHL Cup, featuring eight players from British Columbia, who won gold at the event, including golden-goal scorer Ben King, a forward prospect of the Swift Current Broncos. From the other provinces in Western Canada, Alberta boasts the highest total with 13 players from the Wild Rose province while four came from Saskatchewan, and three more from Manitoba. All six members of the 2017 WHL Cup All-Star Team earned invites, including Alberta defenceman Kaiden Guhle, the first overall selection in the 2017 WHL Bantam Draft by the Prince Albert Raiders and Saskatchewan goaltender Bryan Thomson, a prospect of the Lethbridge Hurricanes. Other All-Stars earning invitations were defenceman Daemon Hunt (Brandon, Man. 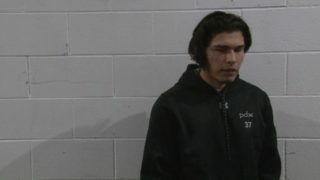 / Moose Jaw Warriors), forward Justin Sourdif (Surrey, B.C. 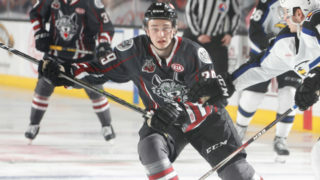 / Vancouver Giants), forward Kyle Crnkovic (Chestermere, Alta. / Saskatoon Blades), and forward Connor McClennon (Wainwright, Alta. / Kootenay ICE). A quartet of Alberta players invited to the camp also led the 2017 WHL Cup in scoring. Crnkovic led all players with 12 points (3G-9A) while McClennon finished with 10 points (6G-4A). The highest-scoring defenceman from the tournament, Guhle recorded nine points (5G-4A) and forward Jake Neighbours (Airdrie, Alta. / Edmonton Oil Kings) rounded out the top four for scoring with seven points (1G-6A). Overall, 18 of the 28 WHL players invited were selected in the first round of the 2017 WHL Bantam Draft. Dylan Garand (Victoria, B.C. / Kamloops Blazers) is the lone goaltender to have already made his WHL debut. Additionally, 18 of the skaters invited to the camp have already made their WHL debuts. Brad McEwen, head scout for Hockey Canada, was responsible for all player selections, with assistance from regional scouts Carl Bouchard (Quebec), Barclay Branch (Ontario), Vancouver Giants general manager Barclay Parneta (West), Darren Sutherland (Atlantic), and Darrell Woodley (Ontario), as well as member representatives.